Barbie always follows fashion trends, but sometimes she is confused with the variety of options. This time you should help her to choose one of two styles! 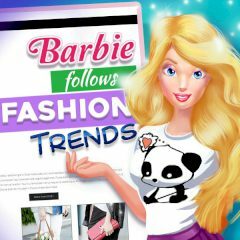 Dress up Barbie like a fashion girl and suggest exciting outfits, that will help her to feel special. Needless to say, that you are going to compare different styles and clothes!